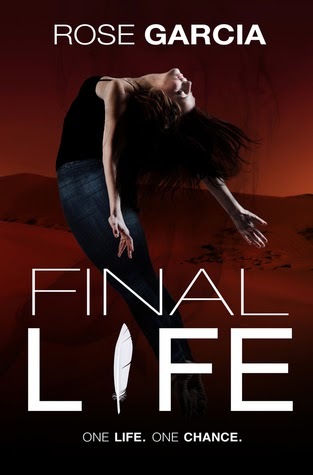 Final Life is a YA paranormal with an interesting plot and just a touch of romance. I've always been fascinated by past lives and tend to gravitate toward books that feature them. This one is a bit different than many others about past lives. The title refers to Dominique's final chance to overcome the evil that has followed her through eight other lives. No pressure or anything. Dominique thinks she's a normal teenager until a couple incidents reveal her true destiny, forcing her parents to tell her the truth. She is on her last life and if she doesn't defeat the evil pursuing her, a horrible fate will befall the Earth. For some reason, her parents kept this important information from her. Instead of training her to take on the evil, they remain silent. Interesting choice given the circumstances. In fact her parents' actions were so difficult to understand, I was just left scratching my head. The entire mystery occurs because people keep things from our intrepid main character. Why do people always do that? Personally, if I was in Dominique's shoes, I'd want to know in advance. Well, for whatever reasons, Dominique is forced to uncover the mystery herself. I found the plot intriguing, and enjoyed the pace in which the mystery was revealed. This is a lightning fast read—the pages just seem to fly by. Romance takes a backseat to saving the world, but we are treated to a bit of a love triangle anyway. First we have the adorable, sweet, and intelligent Trent who shows an immediate interest in Dominique. 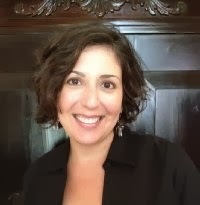 To complicate matters, gorgeous, stoic, and close-lipped Farrell moves in with her family. Farrell is deeply connected to her past, and Dominique feels an instant connection with him. Of course, she is also quite attracted to Trent, who makes her heart race with his mere presence. Final Life has an ending! That's right, it's a standalone novel with a real ending. A rare find in the YA paranormal genre. I recommend Final Life to everyone high school and up that enjoys a good paranormal read. If you're into past lives, I think you'll really enjoy this one. February Kindle Fire HDX Giveaway! !